135 km, 7-hours of riding … 149 started, only 119 made it to Dover. Proper heat exhaustion 34 degrees most of the day, some serious dehydration, 3 nominees already for the biggest detour ever (ie gone the wrong way and didn’t notice for miles and miles!) 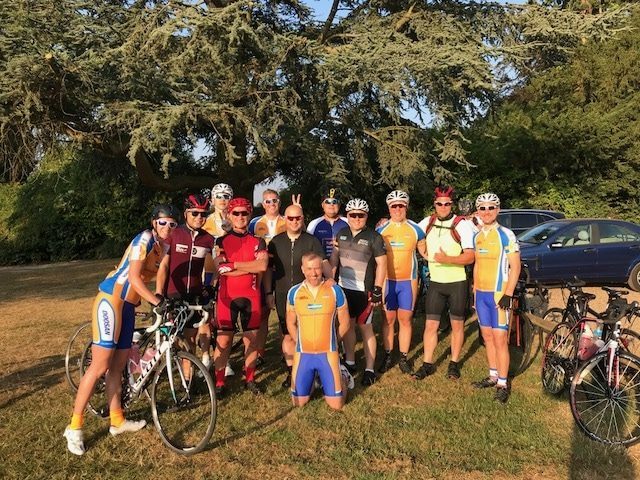 one included a short but illegal trip on the M2 motorway, 3 fell off their bikes, 1 buckled wheel meant 20 miles on a kids replacement bike for one of our lads, 2 punctures, nasty leg cramps – and this was just from our group of 12!!! 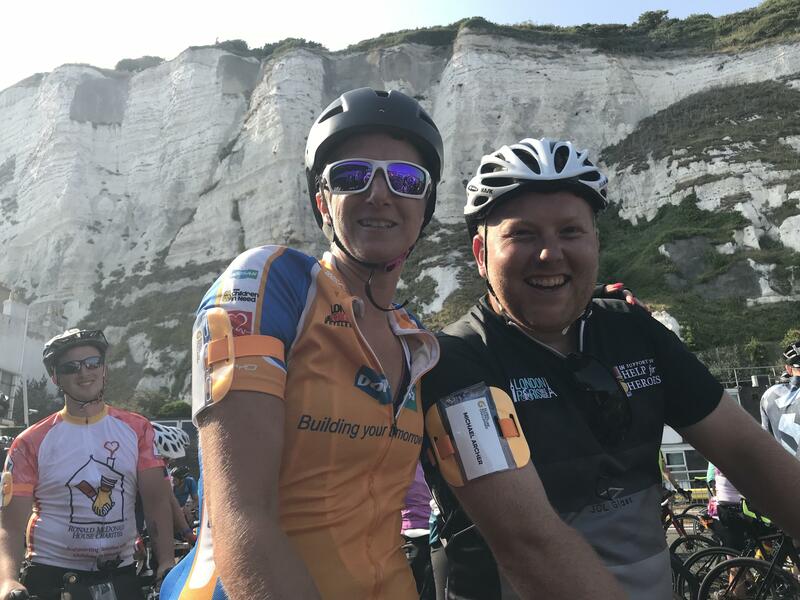 TeamDoosan really are shedding blood sweat and tears for our 5 amazing charities (Motor Neurone Disease Association, Manorlands Hospice, Help for Heroes, Cynthia Spencer Hospice and Stoke Mandeville Spinal Research). It’s not too late to donate – so please go to charity.doosanflt.com and give anything you can.